Podglądnięte u lepszych: http://joemonster.org/ Dajecie! Kiedy po wygranej bitwie ktoś chce z tobą grać w dywizjonie Kiedy na początku rozwaliliśmy Yamato Kiedy wychodzi nowa premka Kiedy z daleka torpami dewastujesz BBka Kiedy ona wchodzi mówiąc "mam nadzieję, że już przestałeś w to grać"
CHAT - BAN: This idiocy should stop sometime soon! I ban myself for making this. Patches competition... the ones who didn't make the cut! Greetings fellow captains. Congratulations to all of you who made the cut in the patch competition. Many of the designs are truly excellent and well executed. Best of luck and may the best patch wins. Congrats to all of those who didn't make it as well, just for putting the effort. I would like to share my patch design to all of you and please be free to use it wherever you like, if it pleases you. Of course, I certainly didn't expect it to make the cut... but it was fun designing it. And really I couldn't thought anything less fitting this wonderful game! 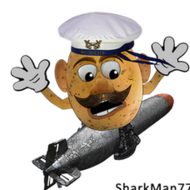 See you in battle, Captain Potato P.S. If you like, please post your submissions. I'd surely love to see them! Sorry if this is off topic but I found this totally hilarious Hitler plays WOWS video, https://youtu.be/r3uABO2Fdwk.